Problem: When using Live Streaming solutions, live streams from some broadcasters have big frame loss, huge latency and sometimes don’t show at all. Many home user internet connections are ADSL (Asymmetric Digital Subscriber Line), meaning they have low upload bitrate compared to download: In ADSL, Bandwidth and bitrate are said to be asymmetric, meaning greater toward the customer premises (downstream) than the reverse (upstream). Providers usually market ADSL as a service for consumers for Internet access for primarily downloading content from the Internet, but not serving content accessed by others. This causes issues when trying to upload content like broadcasting live video. 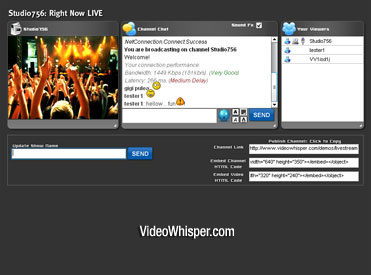 For live broadcasts, streaming bitrate is limited by broadcaster’s upload bitrate. Broadcasters with such connections will encounter severe issues (frame loss, long interruptions, big latency) if they try to live stream a stream with bitrate very close or greater than connection limit. Do a speed test from broadcasting location to a location near streaming server (rtmp) using SpeedTest.net . On new version use Change Server and search for a server in Montreal, in example. In legacy version if latest does not work, drag and zoom to a server in North America and select it to test for our demos . Check upload bitrate. Divide by 8 to obtain transfer rate in bytes/second as bitrate is often displayed in bits/second. Then adjust streaming settings so video, sound and interactions fit in upload bitrate (leave 10-25% margins). If your site targets users from certain areas, browse some stats and identify common upload bitrate to adjust default streaming settings. First, read more about RMTP hosting and Estimate your RTMP hosting needs. NR = Not Recommended. Red5 can be used for recording/archiving but often produced skipped frames in our tests. Plesk = Managed web hosting on VPS is based on Plesk for 10 domains. CPanel = Managed web hosting with a CPanel account. Higher plans allow multiple domains. WHM CPanel = Host unlimited domains, cpanel accounts. Also compare hosting types on Host RTMP. 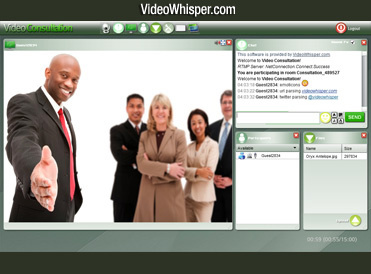 For more details and clarifications, contact VideoWhisper.